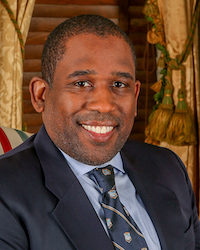 David Scott earned his bachelor degree in computer science from W&M and earned his M.B.A. at the Wharton School at the University of Pennsylvania. He is also the author of “The New Rules of Lead Generation: Proven Strategies to Maximize Marketing.” While at William & Mary, Scott served as vice president of cultural affairs, executive vice president of the Student Association and was the founder of the Speech Team. He was also a member of Alpha Phi Alpha Fraternity. Scott currently sits on the boards of the Direct Marketing Association, Goodwill and Powerful Schools, is the current Secretary of the Alumni Association Board and is a member of Rotary International. In 2007, he was named to the Puget Sound Business Journal’s 40 Under 40 award.